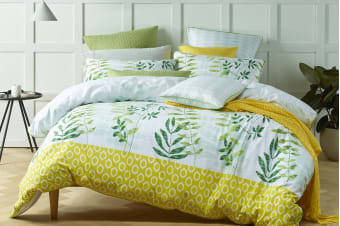 The Bianca Tendril Quilt Cover Set (King) showcases a simple yet elegant design, focusing on supreme comfort. Create a fresh look this winter with shades of green that pop on a crisp white background with the Bianca Tendril Quilt Cover Set (King). 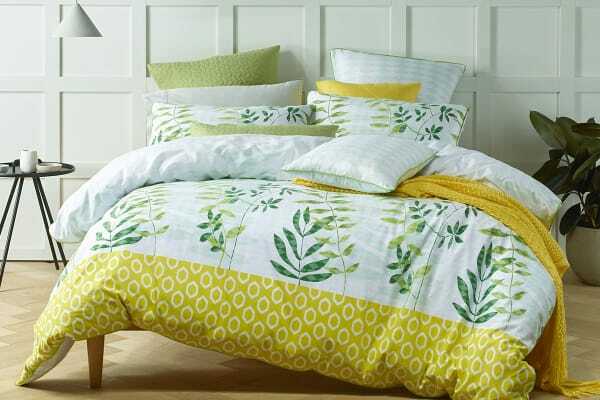 Printed on super soft cotton and finished with beautiful herbal green piped edging, this quilt cover is a pefect addition to any bedroom.